Special Helpline numbers opened by leading Telecom Operator in India Bharat Sanchar Nigam Limited (BSNL) for the people of flood-hit Uttakhand to find out the last mobile phone location of their relative and friends very easily. The BSNL Competent Authority has launched Helpline numbers 1503 or 09412024365 to facilitate Uttarakhand people to find last mobile location. 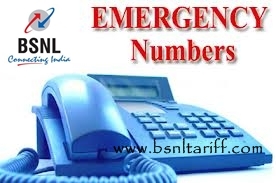 Along with BSNL the leading private telecom operator in India Airtel has launched Emergeny Alert Service for the customers registered in the Visitor Location Register (VLR) in flood hit areas. Contact numbers of all Government, army, and Indian Army emergency Helpline Toll Free number through KCI (Key customer information) SMS. Readmore: BSNL restoring Mobile towers in flood affected areas with in three days.